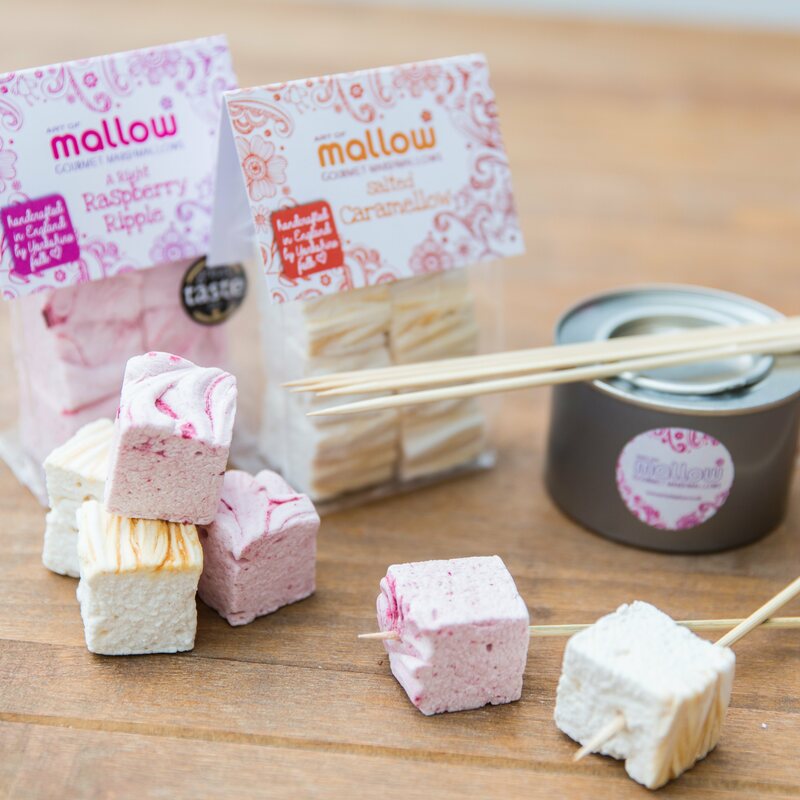 A tremendous gourmet marshmallow toasting kit for the ultimate marshmallow toasting experience in the loveliness of your own home (or outside if you fancy that too!). 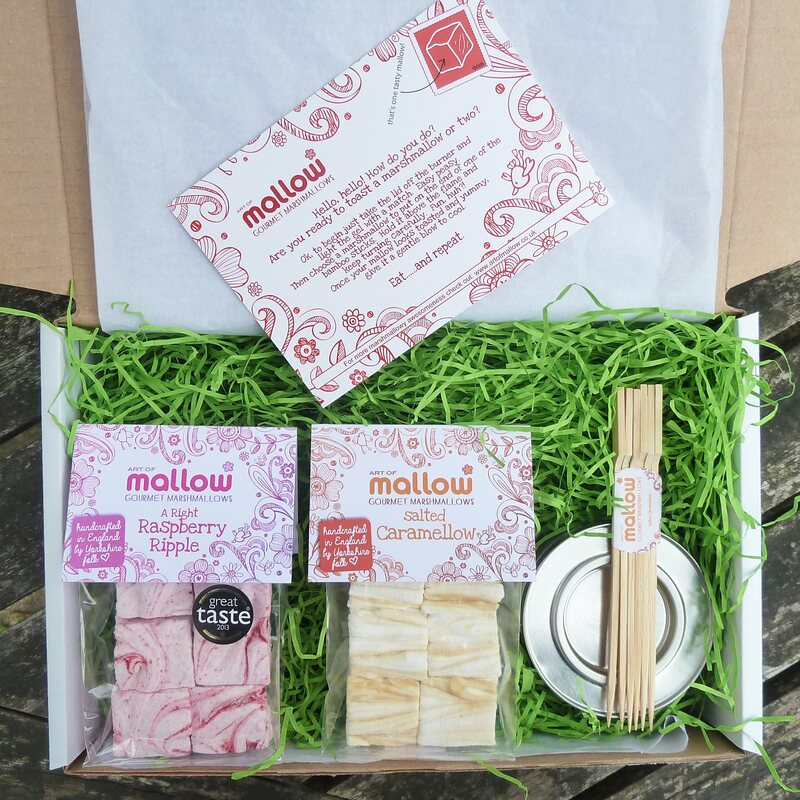 This gift box of delicious delight contains two bags of handmade gourmet marshmallows (choose from ten flavours), a non toxic gel burner (simple to use, burns for two hours and can be lit with a match), six bamboo toasting sticks, and easy peasy marshmallow toasting instructions. Prepare to have lots of fun with this kit! See individual marshmallow flavours for a list of ingredients. Gel burner: This is a safe to use non toxic gel burner. Not recommended for use by children. 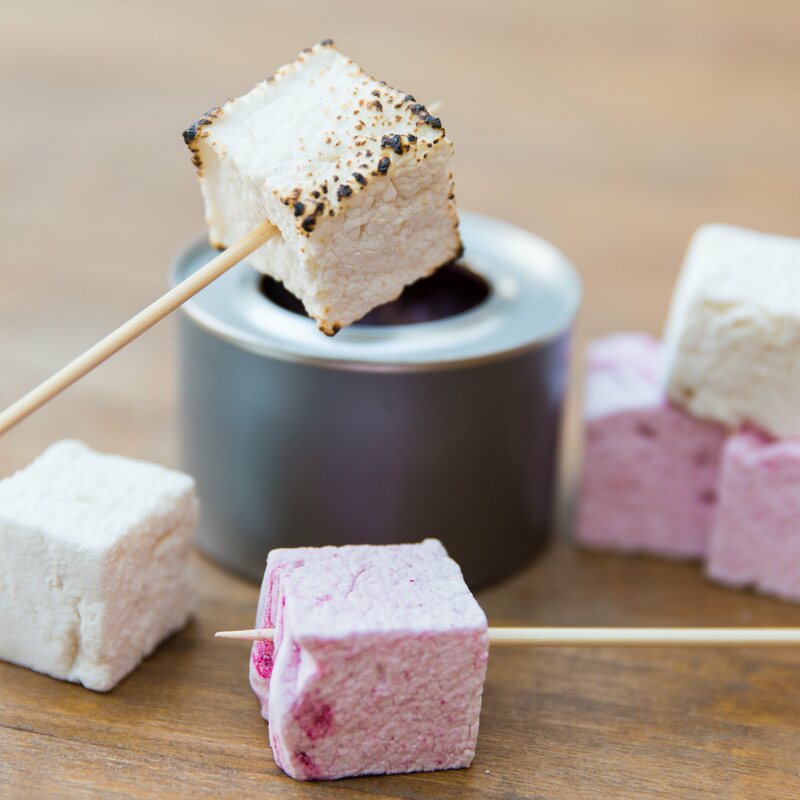 The tin can get hot on the bottom when burning so placing it on a protective surface is recommended. 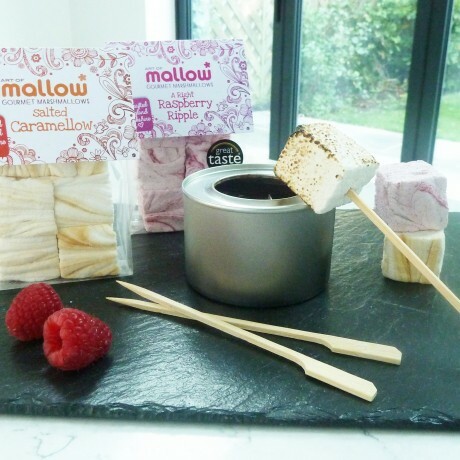 This product is dispatched by Art of Mallow. This item has a shipping weight of between 750g and 825g depending on the options selected.